The website design was outdated and included too many products. As the process went underway, we soon discovered that TheaterMania did not have a clear target audience, therefore it did not have a clear design or product strategy. It was trying to catch everyone and its reach was too broad, therefore their communication was fragmented. By focusing on identifying the right audience, we were able to develop a new strategy for TheaterMania, that would dictate the future design and product development. TheaterMania connects the theater industry with a mass consumer audience. 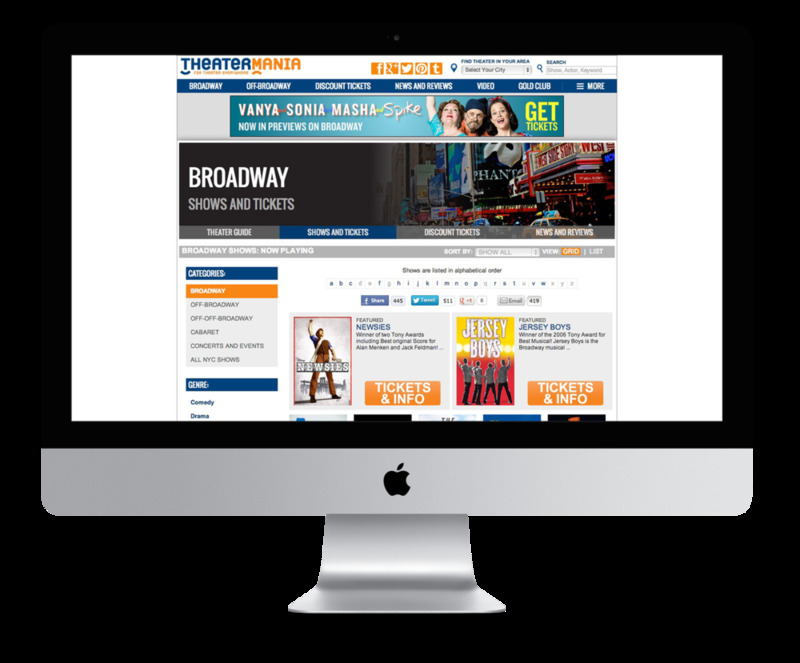 TheaterMania.com features comprehensive listings, news, reviews, interviews, video content and online ticketing for Broadway, Off-Broadway, Off-Off-Broadway as well as theater nationwide. 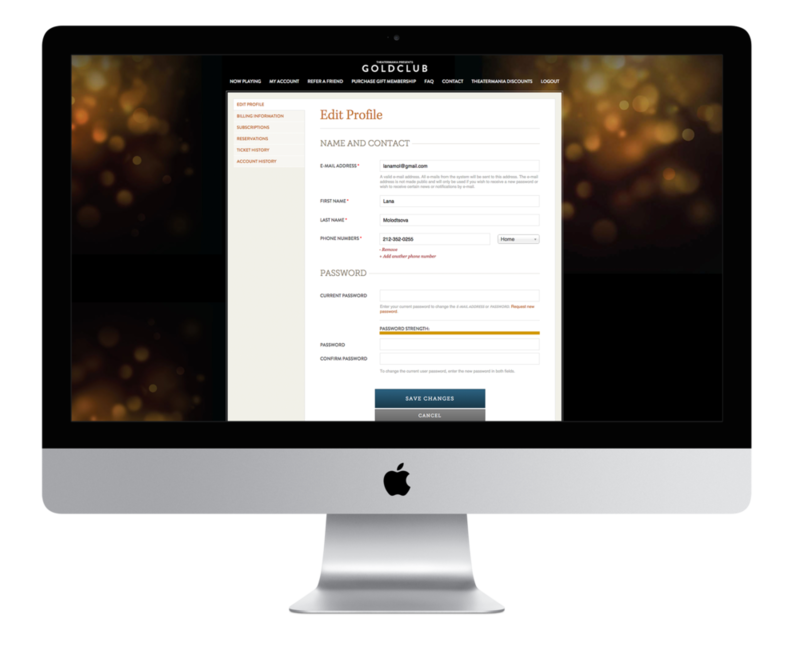 The project brief contained the redesign of the website. Goes to the theater every now and then. The price is important. He/She visits TheaterMania to get the discounts. Goes to the theater several times a year. They look forward to each Broadway season. They are knowledgeable and experienced theater goers for whom price is not an issue. Theater is a part of their life. Goes to all Broadway shows, attends Off-Broadway and Off-Off-Broadways shows as well. They live and breathe theater. It is their life. They attend shows few times a week and consume news about theater around the clock. By focusing on Occasional TheaterGoer and TheaterManiac and their needs, we were able to devise a design strategy for the website. We eliminated the products that did not speak to the new audience. We knew that the Occasional TheaterGoer needed to get to the ticketing and discount information fast, so it was put in the main navigation and was also predominately featured above the fold. Since news and reviews were important for TheaterManiac, it was put on the main page and navigation. 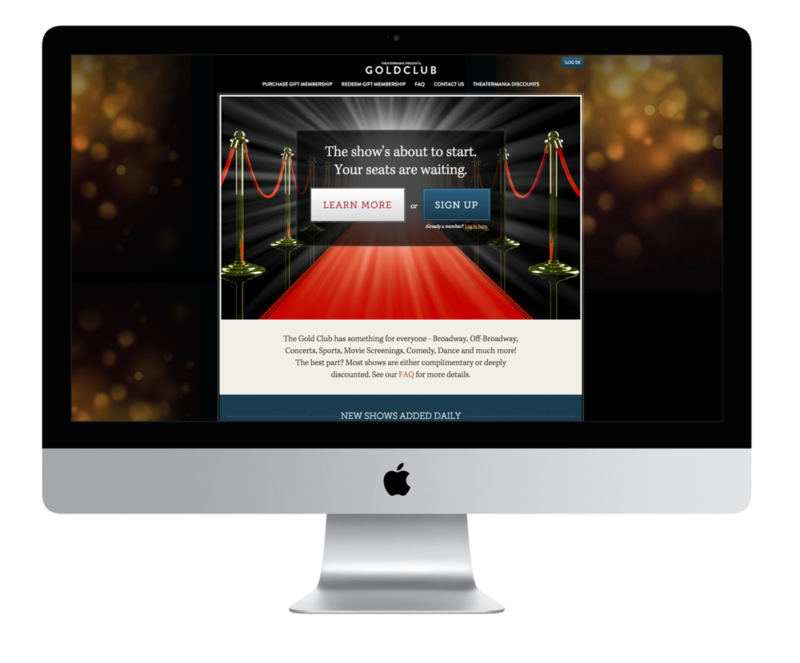 With those audiences in mind, we developed several products to enhance their experience, such as TheaterMania iPad Magazine, Gold Club and TheaterMania App. The overall result was a more streamlined design, that was much easier to navigate. TheaterMania Magazine is an in-house, online magazine that interlaces live theater with pop culture, celebrity and fashion. 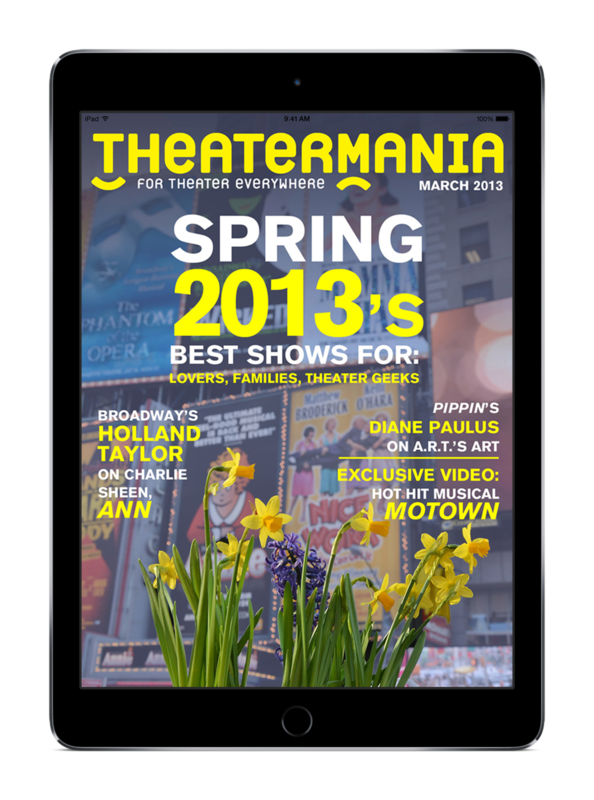 Each month, TheaterMania Magazine releases a new issue with original content available for free download to iPad & Android. 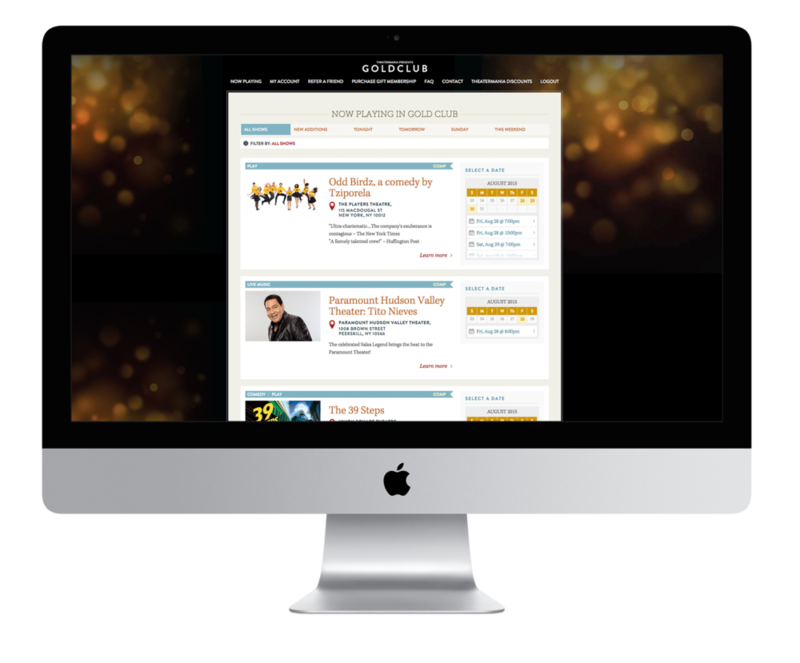 TheaterMania Magazine provides readers with exclusive feature stories, photos, videos, music and interactive media combining theater, arts, celebrities and fashion for the entertainment and culture aficionado. Here are some samples of TheaterMania Magazine issues. Gold Club is a membership based website that provides access to theater tickets for an annual fee. This product was developed with the TheaterManiac in mind. The research showed that customers did not understand how Gold Club worked , therefore it was determined that information about Gold Club and how can one sign up had to be on the homepage. 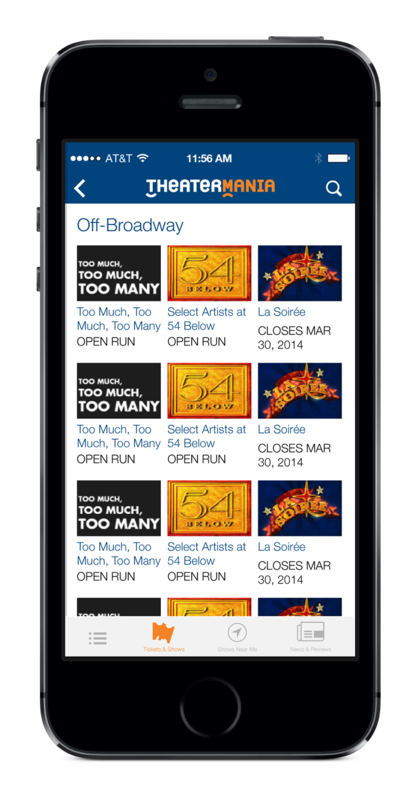 TheaterMania's target audience is always on the go and has access to the smartphone. 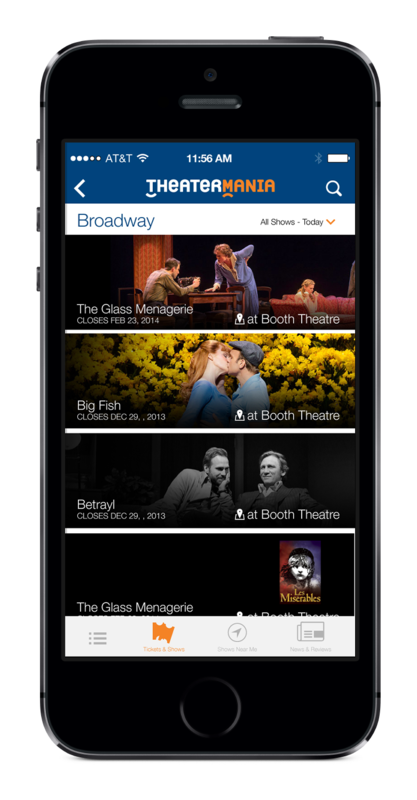 Through interviews with TheaterMania loyal customers, we discovered the need for an app. 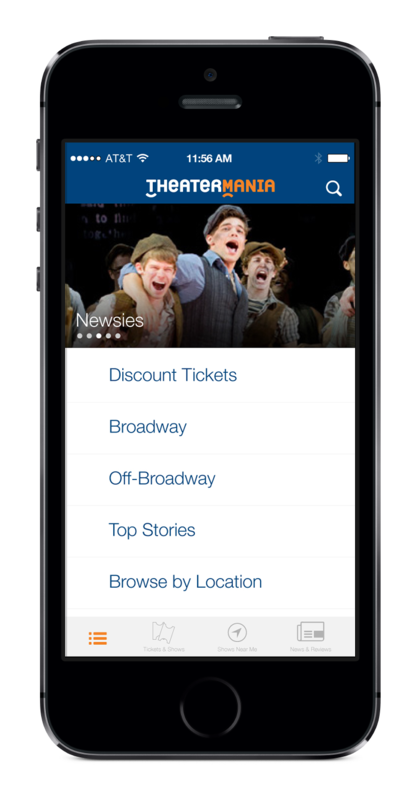 TheaterMania App provides on the go information about latest theater news, shows and quick access to tickets. 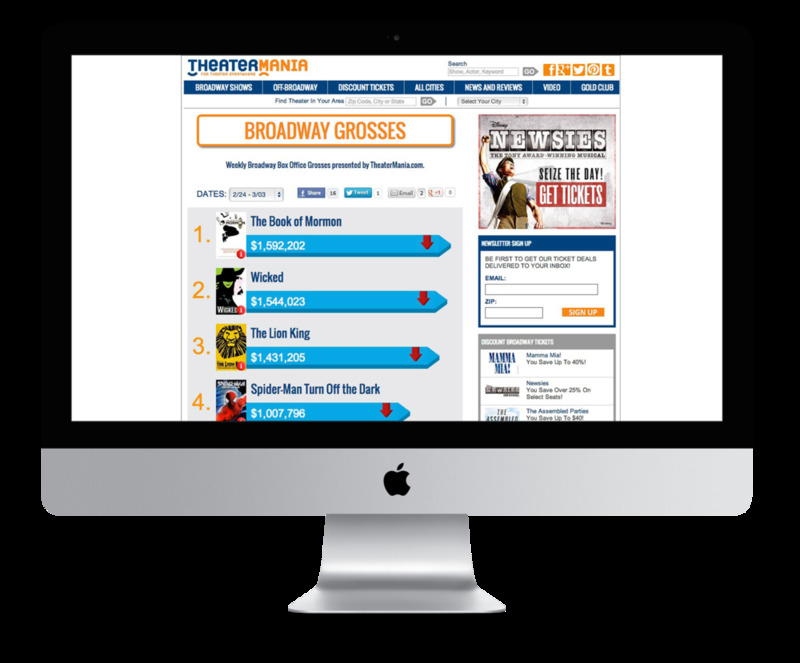 TheaterMania App is able to reach TheaterMania customers quickly and efficiently providing them with latest theater information.